India is known for many wonders and paradoxes. There is an uncommon tale of two Indian families which are progressive and unique in their own ways. One is officially recognized for its caste-and-religion less identity, and the other is ISO Certified. Based in the Indian state of Tamil Nadu, both the families are the first and only to have been certified for their exemplary distinctions. We at Travel Beats, an overseas Indian community portal by Indian Eagle Travel, explored what make these two families an absolute departure from a typical Indian family. In India, M. A. Sneha and her family is the first and only to have neither any religion nor any caste. Earlier this year, 35-year-old M. A. Sneha, an advocate by profession, was issued a formal ‘no caste, no religion’ certificate by the government of Tamil Nadu. Her family – parents, siblings, husband and children – has not been using any religion or caste as either a prefix or suffix to their name or identity. Her 9-year-long fight to obtain an official ‘no caste, no religion’ certificate was finally rewarded with recognition to the way he was brought up in a secular environment. Her parents never mentioned any caste or religion in her birth and academic certificates. Even her wedding was solemnized in a non-religious manner devoid of age-old traditions and customs. 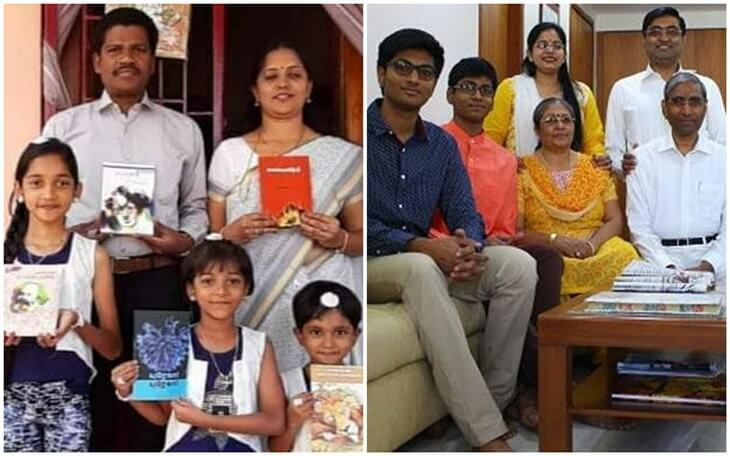 Following the ideals of her parents, M. A. Sneha has named her three daughters showing no attachment or affiliation to any caste or religion. She even never fills in the caste and religion blanks in her daughters’ application forms for school and extracurricular activities. Like her parents, she continues to fight casteism and communalism in India. “When the government can issue community certificates, why not I get a ‘no caste, no religion’ certificate,” was the revolutionary thought that pushed this progressive Indian to continue her efforts to be officially known only for her individuality and nationality after the initial rejection of her letters to the government authorities in Vellore district of Tamil Nadu. Her family and she believe in supporting the communities oppressed in the name of caste and religion. The Surana family in Chennai is the first and only Indian household to have received an ISO certification and held it for the past 14 years. If you ever happen to visit the ISO 9000 Certified Surana household in Chennai, you will be treated as more than a guest to not only have a cup of tea with snacks but rate your experience of their hospitality, based on a set of parameters including quality of food served to you, in a feedback form. Actually, every visitor or guest to India’s first and only ISO Certified Surana family is a ‘temporary customer.’ Not only outsiders, but also each member of Chennai’s Surana family has a designation and a definite role to play in the day-to-day household affairs, in compliance with the ISO guidelines. 68-year-old Surana is the Household Head, and his 63-year-old wife Leela is the Household Representative. Their daughter-in-law Rashmi is the Management Representative, while their son is a loyal customer of the family. Interestingly, each of them has been given an individual manual of work instructions in keeping with their designations. Like ISO certified companies or organizations in manufacturing and services industries, the Surana & Surana Household in Chennai is committed to deliver on quality management and quality assurance of international standards in personal hygiene, housekeeping, food catering, guest management and facility management. India’s ISO Certified Surana family makes on-demand purchases at equal intervals. They buy perishable things like fruits and vegetables every other day from certified vendors having a good rating on quality and hygiene. Their three domestic helps strictly follow a checklist of daily cleaning and maintenance tasks. A typical Indian household spends over 160 hours a year on discussing the daily menu, as per the stats available. But the Surana family revises the menu once in a month to save time. Every item from the kitchen to the storeroom is properly labeled leaving no chance for ambiguity and kept in an order, as per the ISO guidelines. The pictorial labels on the periodically cleaned containers serve the motto, “Everything in its place and a place for everything.” Any food containing preservatives or having a chemical coating is banned in Chennai’s ISO Certified Surana household. Even the meals are served with inimitable clockwork precision. In addition to periodic internal audits, two BIS audits are annually conducted to make sure that the Surana family abides by the ISO guidelines on quality and management to continue to hold the prestigious ISO Certification. The Bureau of Indian Standards (BIS) is the nodal agency for the certification. Notably, the audits cost India’s first ISO Certified Surana household Rs 90,000 a year. Travel Beats, a subsidiary of Indian Eagle, publishes latest visa, immigration, passport, aviation and Indian diaspora news stories. A leading travel booking partner of Indians in USA, Indian Eagle not only guarantees lowest airfares for flights to India but also strives to promote achievements of overseas Indian communities.